The delightful story of a disorganised but lovable angel who is chosen to show the way to Bethlehem, enchants and charms both children and adults. Now available with Words on Screen™ v2. 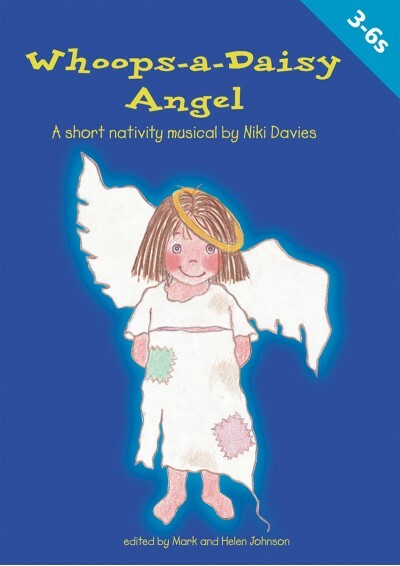 Whoops-a-Daisy Angel is the most popular Niki Davies nativity that we have ever published. The delightful story of a disorganised but lovable angel who is chosen to show the way to Bethlehem, enchants and charms both children and adults. 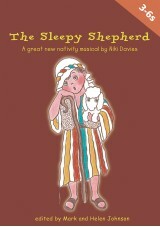 A wonderful Christmas play for 3-6 year olds. This play is very cute and must be very popular to because all 3 of my children have done it now. The songs are very catchy and the lines are easy for young children to learn. Definitely recommend buying it for your school! 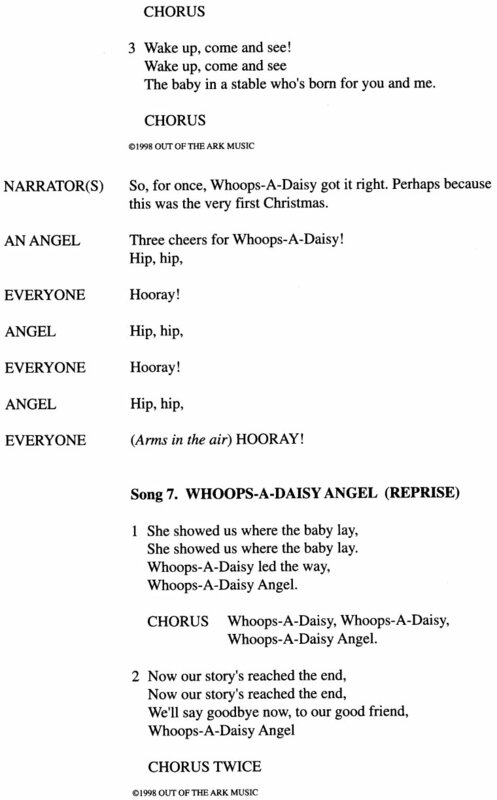 My daughter's reception class performed this play last week and I'm still singing the songs... They're so catchy, and the actions are easy for the children to learn. 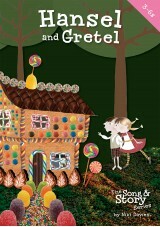 A very sweet story with roles for everyone. We performed this play last Christmas and it was wonderful! The songs are simple and fun for the children to learn and they enjoyed the storyline as well. 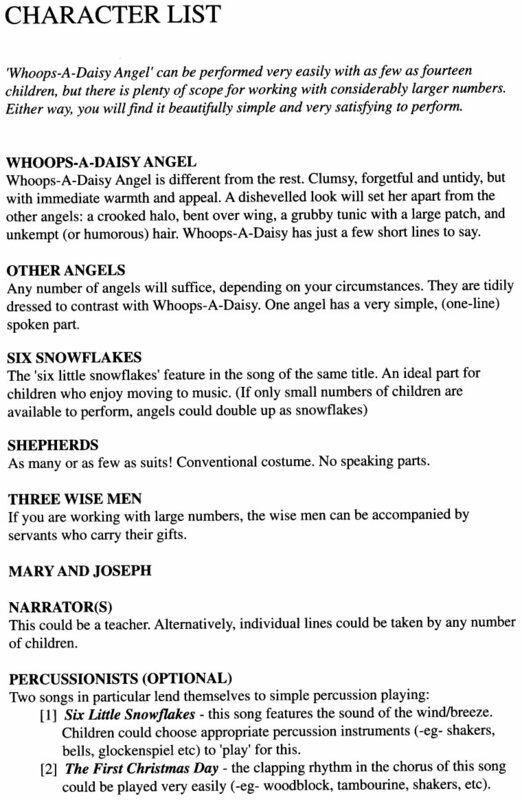 It was easy to find roles for everyone to play and we ordered easy to find nativity costumes online. And having all the materials of script, music and grapics made it so much easier to organize. I highly recommend this program. Children (aged 6months to 5years) loved the songs and were singing them for weeks after Christmas ... to be recommended! Fab action songs, nice lullaby melodies, A line or song for every child to say or sing whether solo or choral. Very catchy songs and humour involved. Easy to follow and all the junior infants looked so angelic on stage! I did this play 4 years ago and would do it again if I had an infant class. 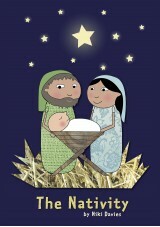 We performed this Nativity with our Early Years children and it was a fabulous experience. With over one hundred parents, family and friends in the audience the children sang every song brilliantly. Looking forward to another such performance this year. I used this play last year - not only was it easy for the children to learn, they loved the storyline as did the staff and parents. Would definitely recommend this play to anyone. Hopefully I will be able to put it on again in a few years time. Absolutely wonderful! 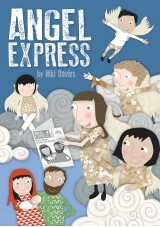 I am a teaching assistant at a primary school and love this play. Its easy and fun to follow, learn and produce. The songs are repetitive and jolly and the audience really enjoy watching it. A success each time! Easy to stage for non experts! Funny, engaging and inclusive. this was a very successful nativity for us. The songs were lovely and easy to learn. The staging was straightforward. the materials very good. We used it with P1/2 and their P7 buddies. Very well received by audience! I have watched this as a parent and produced it with both nursery and reception classes, and in both roles it sent a joyous christmas tingle down my spine! Really simple, really beautiful and perfect for this age group.